From our regional office in Miami, we take the best of the BBC content to one of the world’s fastest-growing TV markets, Latin America. BBC Studios Latin and Hispanic America inspires audiences by offering great content on every kind of platform. In Latin America, we’re continually innovating and looking for new opportunities to grow the BBC brands globally, by providing an international platform for the best of British creativity, driving exports and showcasing the BBC UK creative industries. For Latin and Hispanic America the BBC differentiator drives forth deals with content buyers, Subscription Video-on-Demand (SVOD) partners and format sales customers. We work with local producers to develop favorite BBC formats. We have had great success with Dancing with the Stars which is currently beginning its 3rd season in Costa Rica, its 4th season in Panama and first season in Colombia. For the first time ever we are airing the show daily on broadcast TV. Additionally, local adaptations of our world renowned programmes like What Not to Wear and Bake Off Brazil - Mão na Massa (the first ever free to air show) continues to be a hit in Brazil. The CBeebies app is an example of how we strive to build engagement through digital innovation beyond traditional distribution routes. Last year, we launched the CBeebies app in the region with content available in Spanish, English and Portuguese, and featuring a SVOD service that enables parents to stream content on mobile devices. The app offers complete episodes of CBeebies’ renowned children’s programming, along with educational games, parenting information and the possibility to watch on demand content, whenever and wherever viewers want it. It is a trusted place where pre-schoolers learn through interactive play, a place where their questions about the world around them are answered in creative energetic ways that keep them utterly enthralled. Now we are looking to expand our content offer to more customers across free-to-air networks and pay-TV programmers to cable operators. We are keen to create more amazing digital content and strengthen production relationships in local markets. 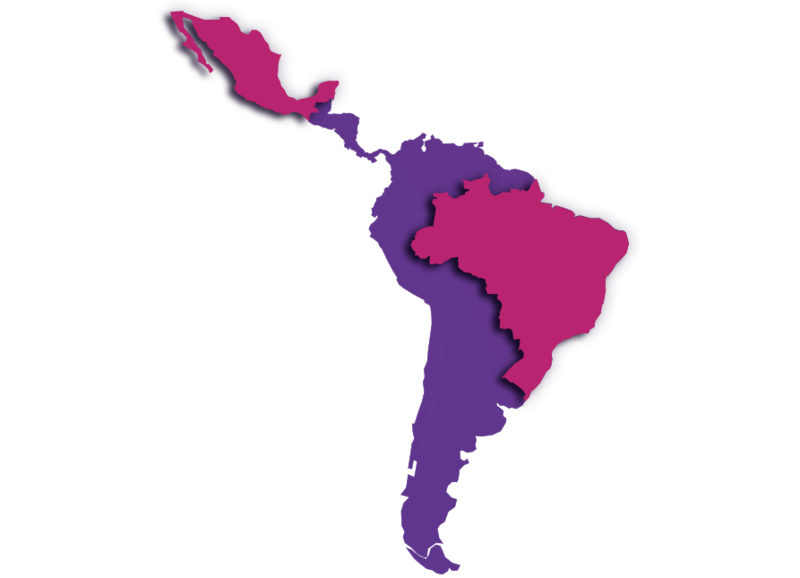 We seek to add to our talented teams in 19 territories across Latin America. People who have great vision, are passionate about BBC content, generate sales, push the boundaries of local production or spot a new business opportunity are exactly who we’re looking for. Ready to be part of BBC Studios in Latin America? We strive to get the best of children pre-school programming to families in Latin and Hispanic America. We engage with our passionate fans through the CBeebies app, SVOD service and our very own linear channel. The BBC’s ground-breaking dramas, entertainment shows and innovative docudramas leave viewers in Mexico wanting more. Our Mexico City office works in partnership with key broadcasters, supports content sales and bring a constant stream of landmark programmes to the region. Keen to join us? Our production office in São Paulo continues to expand its TV distribution, channels and digital media businesses, and works in partnership with networks across Latin America. Play your part in growing BBC Studios activities in the region.